Prevent Macular Degeneration – Save Your Eyesight! Macular degeneration is a condition of the eyes that can result in progressively limited vision and eventually total blindness. You can take steps to prevent macular degeneration, especially if you have risk factors for the disease, or slow its progression if you already have it. Please note that even following all preventative steps and your doctor’s advice may not fully protect you from macular degeneration. Vamp up your eyes: Wear glasses with 100% UV protection whenever you’re outdoors to protect your eyes from harmful rays. Even on overcast days, the sun’s radiation can still damage your eyes, so don’t forget those shades! (Or if you prefer, you can get a UV protective coating on your regular eyeglasses. Make sure that you see your eye doctor every two years, or more if you are at special risk for any vision-threatening disorder. Regular eye exams are one of the best ways you can prevent sight-loss from macular degeneration and other eye diseases. 1). Cardiovascular & Bone Health: Consuming large amounts of watermelon has also been correlated with improved cardiovascular function because it improves blood flow via vasodilation (relaxation of blood pressure). 2). Reduces Body Fat: The citrulline in watermelon has been shown to reduce the accumulation of fat in our fat cells. 3). Anti-inflammatory & Antioxidant Support: Watermelon is rich in phenolic compounds like flavonoids, carotenoids, and triterpenoids. The carotenoid lycopene in watermelon is particularly beneficial in reducing inflammation and neutralizing free radicals. 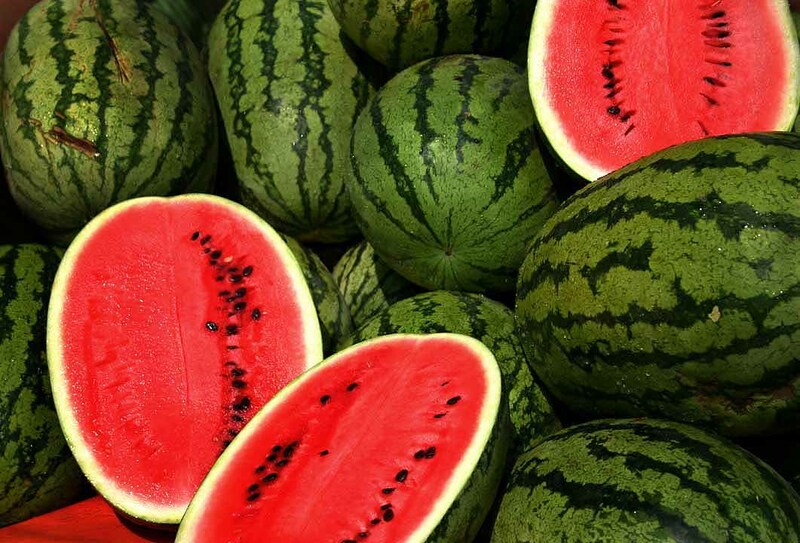 4).Improves Eye Health: Watermelon is a wonderful source of beta-carotene (that rich red hue of watermelon = beta carotene) which is converted in the body to vitamin A. It helps produce the pigments in the retina of the eye and protects against age-related macular degeneration as well as prevents night blindness. 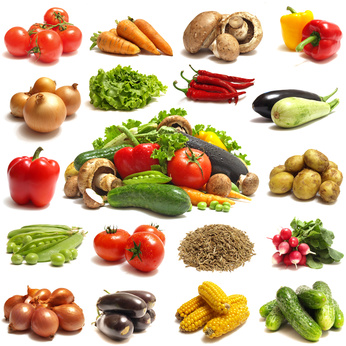 Vitamin A also maintains healthy skin, teeth, skeletal and soft tissue, and mucus membranes. 5). Immune Support, Wound Healing & Prevents Cell Damage: The vitamin C content in watermelon is astoundingly high. Vitamin C is great at improving our immune system by maintaining the redox integrity of cells and thereby protecting them from reactive oxygen species (which damages our cells and DNA). 20/20 Eyeglass Superstore® suggests you to make sure you eat dark, leafy greens at least once per day. These include: spinach, kale, collard greens and many more. The important components here are lutein and zeaxanthin, two carotenoids that have been known to reduce the risk of cataracts and macular degeneration. Do you have any interesting eye health tips to share? Please feel free to share them with us at 20/20 EyeglassSuperstore.com. We’d love to hear from you. We all enjoy a tasty fast food burger at times. If however, your diet consists of mostly processed or fast foods, you may be compromising your eye health as well as your overall health. 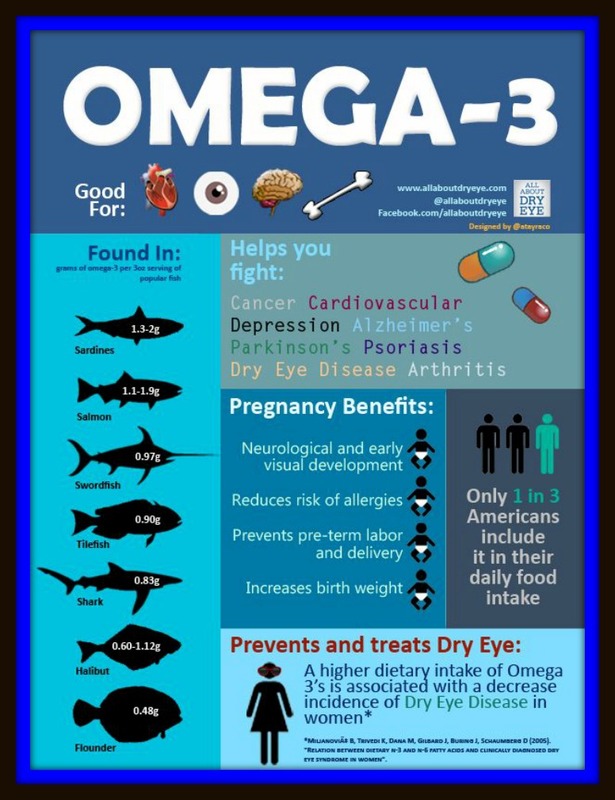 How do you ensure you get enough omega-3’s in your diet? You can start by eating fatty fishes including salmon once or twice per week. Flax seed oil is a wonderful alternative to fish oils for eyes that provide ample omega-3s in your diet. If you are too shy to try flax seed in its raw form, you can always invest in a supplement. Vitamin C and bioflavonoids help protect against diseases including glaucoma and cataracts. You should look for a supplement containing bioflavonoids combined with vitamin C to maximize your body’s ability to absorb vitamin C. These antioxidants help protect against oxidation and disease processes in the body. 20/20 Eyeglass Superstore® keeps you updated on various eye diseases and eye conditions and shares various tips about eye care with you. Drop in at any convenient location at Orlando, Melbourne or Orange City for an eye exam by an Independent Doctor of Optometry. Nutrition plays an important role in the care and protection of your eyes and is your first line of defense to prevent eye related illnesses, blindness, and other sight impairment issues. In a 2005 review of nine studies, researchers found that for those that drank four to six cups of coffee per day, versus only two or fewer, their risk for Type 2 diabetes decreased by almost 30 percent. The number decreased by 35 percent when people drank more than six cups per day. And if you’re picturing yourself running around the office with your eyes bugging out of your head, no worries because caffeinated and decaffeinated coffees provided much the same results. We often forget that coffee is actually a plant and like all plant foods, the coffee bean contains more than 1,000 naturally occurring substances called phytochemicals, which may help prevent disease. Many of these phytochemicals are antioxidants which protect the cells from damage from free radicals. 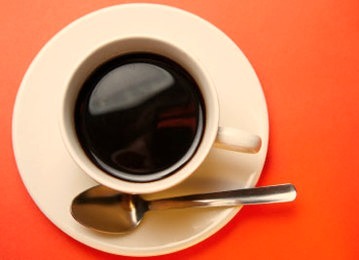 Researchers reported that volunteers who drank caffeinated coffee in the morning performed better than nondrinkers on tests that involved learning new information. 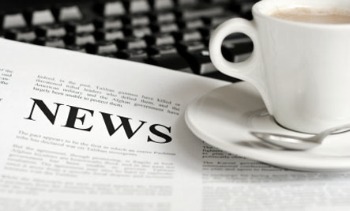 Coffee can also improve cognitive function as we age. One study found that combining coffee with a sweet treat had an even bigger impact. Our main finding is that the combination of the two substances improves cognitive performance in terms of sustained attention and working memory by increasing the efficiency of the areas of the brain responsible for these two functions. This supports the idea of a synergistic effect between two substances, in which each one boosts the effect of the other. 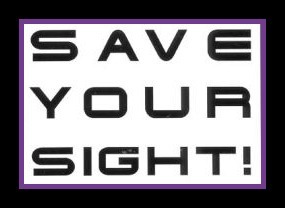 Your vision is priceless and it is important that you maintain your visual wellness and Your Health by scheduling a yearly comprehensive eye exam with your optometrist, ophthalmologist or Physician. Drop into 20/20 Eyeglass Superstore for all your eye care needs. We have a frame for every face and a price for any budget. We also have Independent Optometrists located on site who will be happy to examine your child’s vision. Walk-in’s are welcome but we ask that you come 15 minutes prior to your desired appointment time. 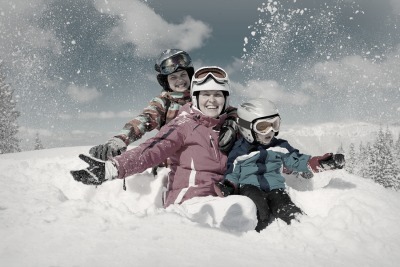 Winter fun is great for the whole family. Quality time, exercise, and fresh air are just a few of the wonderful things about wintertime. Do you know that the winter sun is just as dangerous as the summer sun where your vision is concerned? Your kids are especially at risk, so here are some children’s eye care tips to protect your little ones. The sun’s rays are warming and delightful, but the UV rays emitted are dangerous. Winter does not lessen the problem, and may actually make it worse under certain conditions. Reflections of UV rays off snow or water amplify the hazard since it then comes from multiple directions. Eyes are vulnerable to these rays and can suffer a sunburn-like condition called Photokeratitis. Incredibly painful, photokeratitis is easy to prevent. Ensuring that your child wears quality UV-blocking sunglasses is the first line of defense. If participating in winter sports, be sure that safety goggles (also UV-rated) are worn. Your children’s eye car specialist can help you select the right eyewear for the activity. An extra layer of protection or an alternate plan is always a good thing. A brimmed or floppy hat serves well in blocking the sun and the UV rays that may sneak around your child’s sunglasses. It’s also usually easier to get a small child to wear a hat than sunglasses. At times, it may make sense to limit a child’s outdoor time during peak sunshine hours if other options aren’t feasible. Plan lots of indoor activities in advance should you need to move the fun inside. Help protect your kids from painful sunburns and future problems by working with your children’s eye care provider. He or she can lead you to the right options for your children’s good eye health. As you gaze outside your window this winter, don’t lose sight of what brings every wonderland to light—your eyes. By taking precautions this season, you can preserve your vision and guarantee that you will enjoy the sights of the holiday seasons to come. 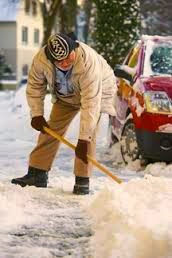 To do so, you need to understand how winter weather creates hazards for the eyes. Overexposure to the winter sun’s powerful ultraviolet (UV) rays without proper eye protection can temporarily harm the eyes or even cause photokeratitis. This condition is like sunburning sensitive tissues of the eyeball. Although photokeratitis may heal with time, the best way to safeguard vision is to avoid excessive UV ray exposure. People associate winter with gray skies, the sun often comes out unexpectedly. Since sunglasses are left behind, many people are subjected to exposure without the proper protection. Ski goggles, which cover the eyes as well as the surrounding skin, are another option. Goggles are the preferred protection for snowmobilers as well as downhill and cross-country skiers, since they block harmful sunlight while preventing debris and snow from blowing into the eyes. The sun is not winter’s only eye hazard. Cool winds and dry air can irritate eyes, even in warmer climates. Harsh weather can make eyes constantly dry and irritated, especially for those who wear contact lenses. Dry eyes can be trouble inside as well, since indoor heat tends to eliminate moisture from the air. To add moisture to eyes, he recommends eye drops, like artificial tears, a few times a day. In addition, he suggests installing humidifiers throughout the house to increase indoor levels of humidity. The Human eye is an amazing organ that most of us rely on every waking moment of the day. 20/20 Eyeglass Superstore, we help thousands of Orlando, Melbourne City and Orange City residents purchase eyeglasses, contact lenses and sunglasses every day. We know purchasing new eyeglasses can be a challenge. Inexpensive reading glasses at the store are cheaper than prescription lenses. Is visiting an eye doctor and getting a prescription worth the extra cost? Walk-in’s are welcome but we ask that you come 15 minutes prior to your desired appointment time.